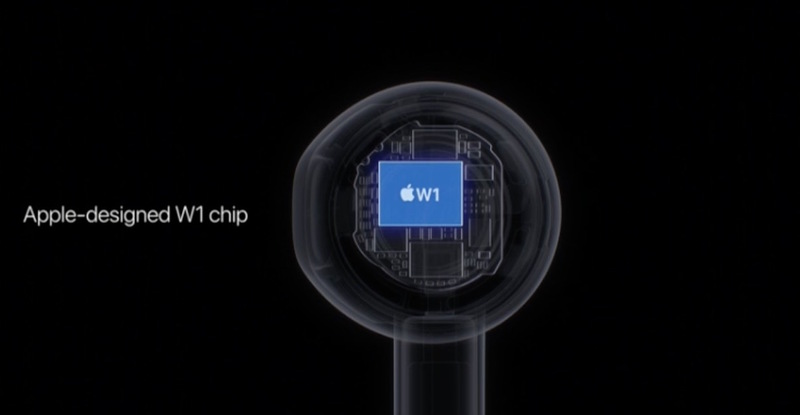 A new patent application for “Wireless audio output devices,” published Thursday by the United States Patent and Trademark Office (USPTO), describes exactly how Apple’s new W1 chip inside AirPods enables zero-configuration Bluetooth pairing. In a nutshell, the charging case that comes with AirPods doubles as a physical pairing interface. Aside from a built-in battery, the case features its own microprocessor and communications stack, a motion-detecting lid for starting the seamless pairing process with an Apple device and a physical button for manual Bluetooth pairing with non-Apple hardware, like Android handsets. During the pairing process, each AirPod sends a shared secret to the charging case over a secure wireless link. This strengthens security and prevents malicious users from connecting wirelessly to AirPods to eavesdrop on phone calls and more. The pairing process requires the charging case because AirPods themselves lack a pushbutton to start pairing. 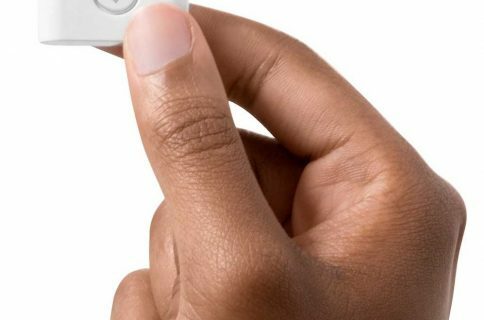 Once paired, AirPods become instantly available on every Apple device signed in to iCloud with the same Apple ID. On non-Apple hardware, standard Bluetooth pairing with a PIN code is required to connect the earphones. 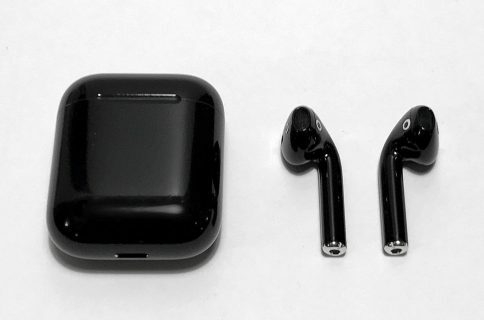 Each AirPod packs in a memory module which stores Bluetooth link information and the earbud’s unique MAC address. This lets iOS’s Batteries widget display battery charge levels for both right and left AirPods, as well as for the charging case. Apple’s invention also designates a primary AirPod that pairs and communicates with a secondary AirPod. A secondary earbud then receives data and audio signals from the first earbud. 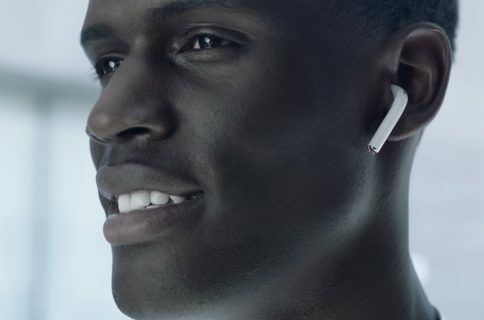 If a user takes an AirPod out of their ear, a secondary AirPod then switches to receiving data and audio signals from a host device. Filed for in June 2015, the patent application credits engineers Robert D. Watson, David John Shaw, Ganesha Adkasthala Ganapathi Batta, Chandrahas Aralaguppe Chandramohan, Gregory Robert Burnsand, Benjamin Huth Byer as its inventors.